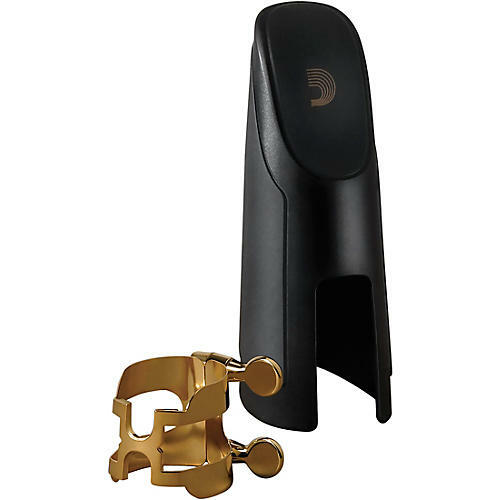 The H-Ligature and Cap was conceived as a "retro" version of the famous Harrison ligature used by many of the worlds greatest clarinetists and saxophonists, Rico's H-ligature offers the sought-after features of this popular design. The new H-ligature holds the reed firmly to the table of the mouthpiece assuring better contact and therefore reducing leaks along the siderails. Additional support has been added to the ligature brackets to increase durability.